Tompkins Conservation is the umbrella name for a diverse range of conservation initiatives founded by Kristine and Douglas Tompkins to create national parks, sustain biodiversity, restore degraded lands, reintroduce missing species and encourage environmental activism. 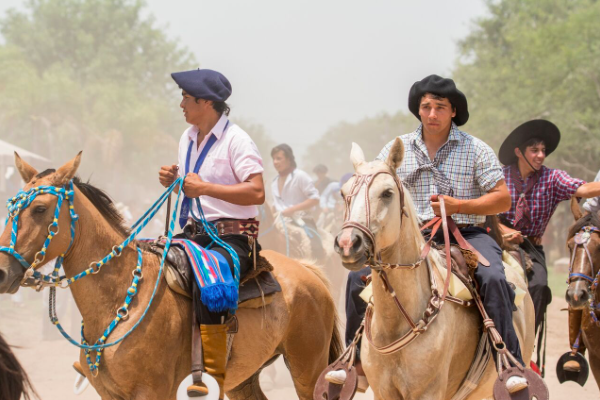 In Argentina, Tompkins Conservation works through two entities: the Conservation Land Trust Argentina (CLT) and Fundación Flora y Fauna Argentina (FFyFA), which share the same vision and mission and work in close cooperation on several projects in Argentina. Our vision is flourishing ecosystems where natural processes operate freely and all native species thrive in perpetuity. Lands used to produce resources for people are used with care, supporting local traditions. Large, interconnected, and representative protected areas including national parks attract large numbers of human visitors to experience their beauty and wildlife — and thus human communities recognize Nature as their main source of prosperity and well-being — a vibrant natural world where all species equally thrive. Our mission is to establish new parks, help restore and rewild landscapes and marine ecosystems, promote direct benefits to rural communities, and foster a culture of activism—in which people love and defend the wild world. By 2026 we hope to have created at least ten new national parks covering 5 million acres (2 million hectares) of tropical, subtropical, and temperate habitat on land and sea. These parks would benefit more than 15 rural communities and 200,000 people, and have global value as arks of biodiversity and storehouses of naturally sequestered carbon. Sharing the world with other creatures: we consider that both human and nonhuman life on Earth have value in themselves and should be cared for equally. Beauty as a basic: we believe that beauty is a value that is intrinsic to all living things. It is not a mere sentimental and idiosyncratic human effect, but our way to describe our encounters with vitality, life affirmative patterns and relationships; it is our shorthand for those experiences that exceed survival and enable us to flourish. Public spaces: we believe in the role of governments to safeguard parks and wilderness areas so that they retain their ecological values and can be visited by local and global citizens. Constant action and commitment: We believe in the proactive care of natural ecosystems — to restore habitats, reintroduce missing species, and promote a culture of activism so that defenders arise against those who seek to destroy public goods for the benefit of a few, and empowered local groups benefit from their region’s natural heritage. Eco-localism: We believe that committed citizens can build the next economy on a regional level around national parks, by working on regenerative production. By achieving conservation as a consequence of production, rural communities can promote well-being and local pride. 1992. Douglas Tompkins creates the Conservation Land Trust (CLT) and begins working on large-scale conservation projects in South America. 1997. CLT begins its first project in Argentina by purchasing Estancia San Alonso, a cattle ranch in the middle of the Iberá wetlands. In the subsequent decade, CLT purchases almost 350,000 acres (142.000 hectares) for conservation and grassland restoration in the area. 2004. Monte León National Park is created in Santa Cruz province as result of a large land donation carried out by CLT and its sister organization Conservacion Patagonica. 2007. CLT’s rewilding team reintroduces giant anteaters to Iberá. Today there are more than 100 individuals living in the wild. 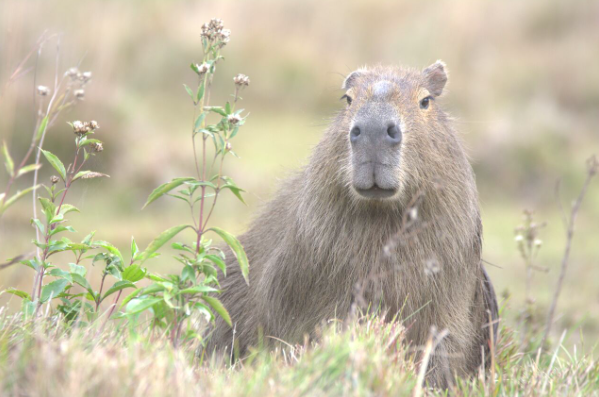 This project is followed by the reintroduction of pampas deer, lowland tapirs, collared peccaries, and green-winged macaws. 2009. Iberá Provincial Park is created, protecting 1,358,500 acres (550,000 hectares). 2014. The property El Rincon is donated to enlarge Perito Moreno National Park. 2014. Impenetrable National Park is created in Chaco province as result of a grassroots advocacy and a lead private donation from CLT. 2015. 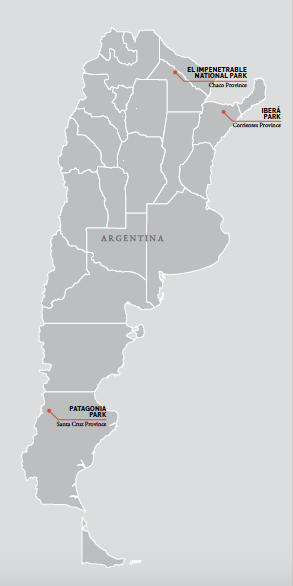 Patagonia National Park is created in Santa Cruz to include lands donated by CLT and its sister organization Fundación Flora y Fauna Argentina. 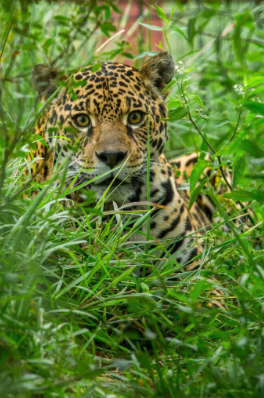 The first jaguar arrives in Iberá Park after half a century of absence in the region. 2016. 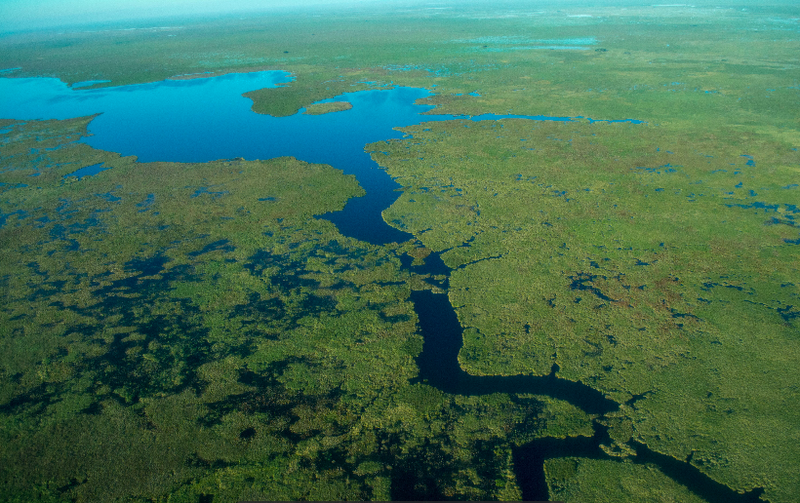 CLT donates lands in the Iberá wetlands to the Argentinean government to establish Iberá National Park. 2017. A bill to create the first two marine national parks in the Argentine Sea is presented in Congress. In numbers, these achievements in Argentina add up to 5 new parks; 1,056,000 more protected acres, and 250 individals of 6 reintroduced species. We are a group of conservationists from different regions and professions, united by our love for wildlands and the people who live around them. 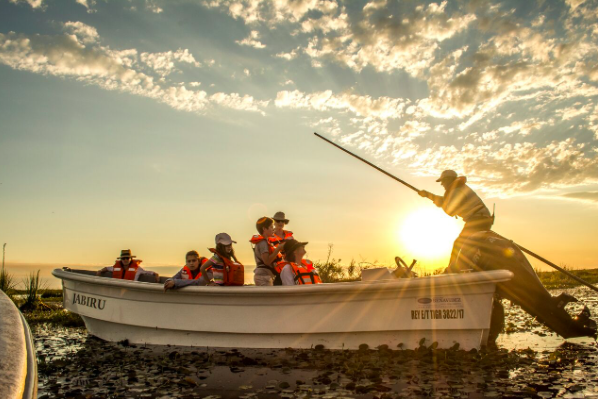 Since 1997, the Conservation Land Trust Argentina has been building one of the most experienced teams in Latin America focused on creating national parks, wildlife conservation and rewilding, establishing ecotourism destinations, training conservation advocates, and working with local entrepreneurs interested in wildlife-oriented development. 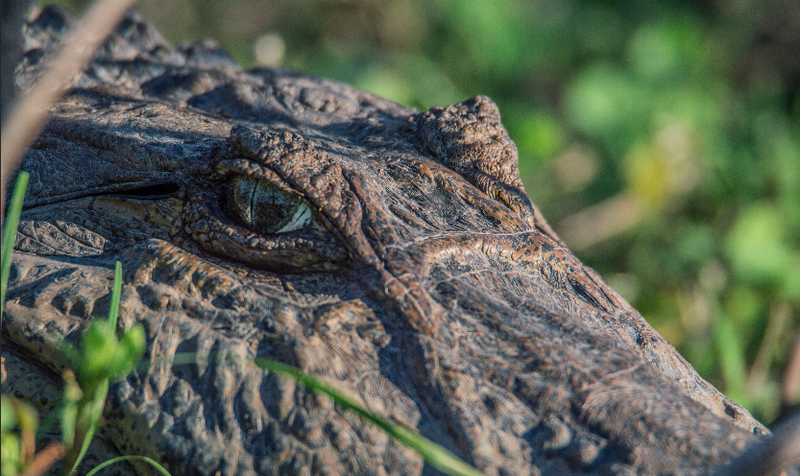 Most CLT staff live at the parks we help create, interacting with authorities and local stakeholders, as well as with the wildlife that is at home in these protected areas. Additionally we have a national management team, mostly based in Buenos Aires, focused on communication, institutional and political relations, legal aspects related to the establishment and management of protected areas, activism campaigns, land transactions, and finance. WHY ARGENTINA? Argentina is the eighth largest country in the world, its territory extending from the Tropics to Antarctica, and from vast plains to the highest peaks in South America. As a result, the country hosts a great diversity of natural environments: rainy jungles, cloudy forests, wetlands, savannas and tropical grasslands, deserts, prairies, steppes, coastal wetlands, ice fields, and one of the most productive seas on Earth. Argentina has perhaps the best national park service in Latin America, and a society that supports conservation. The country’s primarily urban population favors the continued existence of great wild areas with low human density. Additionally, President Mauricio Macri’s administration has a publicly stated goal of doubling the surface covered by the country’s national parks and is taking bold actions toward this objective. In the last two years, the national government enlarged the Natural Reserve Otamendi, Perito Moreno National Park, and Patagonia National Park, and created Pinas, Aconquija, and Iberá National Parks and the Natural Reserve Isla de los Estados. It also expanded the national park network toward the Argentine Sea, creating a new category of “marine national parks”; currently there is a bill in Congress to establish the first two—Yaganes and Burdwood Bank II National Parks. After more than 15 years working in Argentina, the Conservation Land Trust developed our own model to help advance into the next economy through the creation of national parks that become economic engines for local communities. We named it “Full Nature” and it seeks to build a new territorial model where large national parks with their full ecological components become ecotourism destinations. The result is local economic vitality, local pride, and cultural continuity in neighboring communities. Through rewilding—helping ecological processes and missing species return to degraded landscapes—national parks and other protected areas achieve their maximum natural expression. Through various techniques, including reintroducing wildlife, an active program of rewilding can heal the wounds caused by unsustainable human activities and help protect imperiled species. When parks exude beauty and natural vitality, especially through the spectacle of abundant and easy-to-see wildlife, an ecotourism destination can be established to promote a new economy for neighboring communities. At CLT we work to make our national park projects into territorial brands, which encourages large-scale and regulated visitation bringing new economic potential to these regions.